‘The Addams Family’: Upcoming Animated Movie gets a First Poster!! Check It Out!! | Welcome to Moviz Ark! ‘The Addams Family’: Upcoming Animated Movie gets a First Poster!! Check It Out!! 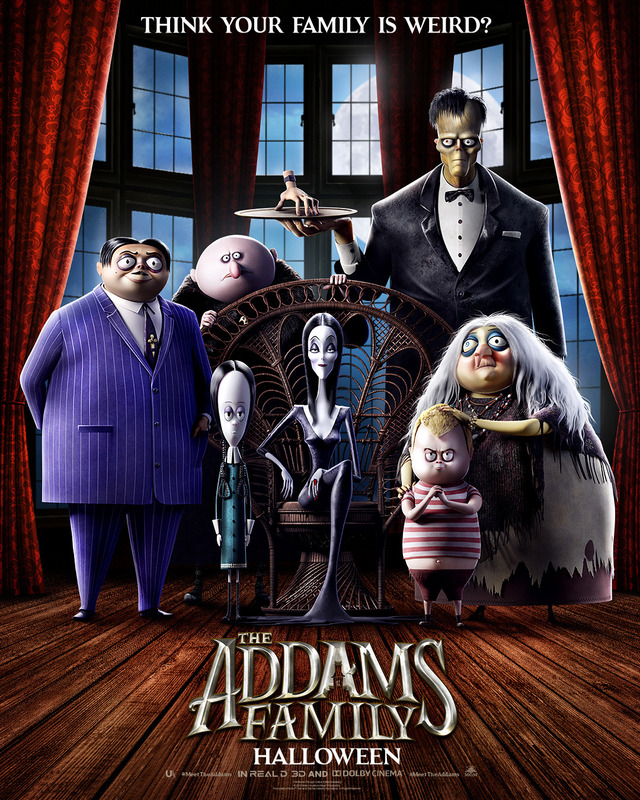 The Addams Family features a voice cast that includes Oscar Isaac (Star Wars: The Last Jedi) as Gomez, Charlize Theron (Atomic Blonde) as Morticia, Chloe Grace Moretz (The Miseducation of Cameron Post) as Wednesday, Finn Wolfhard (Stranger Things) as Pugsley, Nick Kroll (Big Mouth) as Uncle Fester, Bette Midler (Hocus Pocus) as Grandmama, Allison Janney (I, Tonya) as the Addams’ arch nemesis Margaux Needler and Elsie Fisher (Eighth Grade) as Parker Needler. ← ‘Stargirl’: First look Reveals Brec Bassinger In the DC Universe Series!! Check It Out! !